Two dice: Instead of the spinner, one die may be rolled for moves (the other die is a spare). 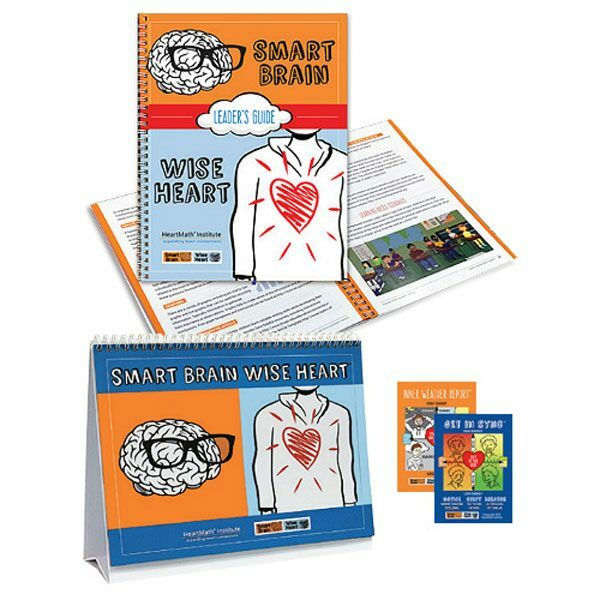 Smart Brain Wise Heart draws on the best of young peoples’ hearts and brains, empowering them to make smarter decisions and improve self-control, academic success and social skills. 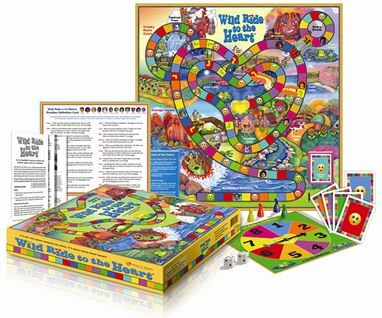 The latest heart-brain-body neuroscience helps students understand what’s happening inside themselves, and a range of fun and intelligent enrichment activities engages and challenges them. Each of the eight learning units has a video that is essential in the student's learning process. Blended learning combines fully integrated online content with a printed Leader’s Kit and assortment of other materials for enhanced learning. Students can access the complete online course from their computer or tablet. Different strands of instruction deepen the learning experience, including review and discussion, activity worksheets, illustrated articles, practice opportunities, project-based action assignments, learning-based scenario videos and assessments. At the heart of the program are several scientifically validated self-regulation techniques. Each technique builds on the previous one, so that after eight weeks, students who practice, are able to increase their locus of control and self-security - essential underpinnings of mental and emotional health, supportive social relationships and academic success. Using either the online, or print version, 24-question Student Opinion Survey to gauge student progress in three key areas, Positive Affect, Negative Affect and Stress Management. Educators who implement the full course can statistically evaluate student's growth and the program’s effectiveness over several months. For more information, and how to acquire youth programs, please contact me.